Growing up, I wished my family observed the same American holidays all the neighborhood families celebrated. Instead, we honored cultural traditions like Chinese New Year, when no one else around us recognized such foreign customs. I grew up several blocks from Detroit’s infamous 8 Mile (as popularized by the movie of the same name—featuring Eminem). Clint Eastwood’s movie Gran Torino was based in Highland Park, located less than five miles away from my hometown. Unlike the Hmong boy in Clintwood’s movie, I was surrounded by very little family and a few other Asian Americans, but I could still relate to this movie and the car name in the title. In the Motor City, we were one of the few families who didn’t own a car. I attended an elementary school, where many students received free or reduced lunch. Soon after enrolling in school, a few kids began making fun of how the food I brought from home was “smelly.” I asked my dad if could eat the “school lunch” instead of bringing in our family’s food. He replied that it was too expensive. I pleaded with him that we could get free or reduced lunch like many of my friends. He insisted that “there is no such thing as a free lunch.” There were many lunch periods I simply went without anything to eat. When discussing GlobalNet’s roadmap for 2019-2020 I was urged to think about cultural events that weren’t being represented at Blue Cross NC through our current programming. 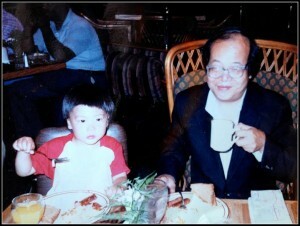 Tai Chung with his father, Ching Sung Chung. my collegues, I decided to not only celebrate this family holiday but to share this cultural celebration with my employee network and co-workers. 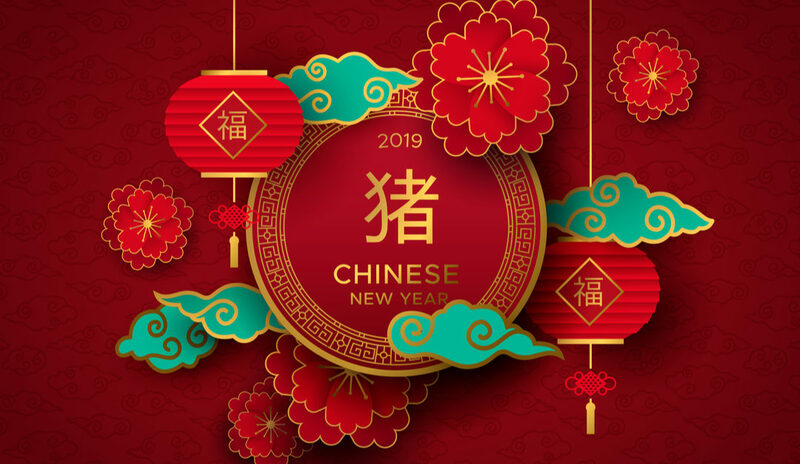 My father is no longer here to honor this sacred tradition with, but he would’ve thoroughly enjoyed hearing about Blue Cross NC’s 1st Annual Chinese New Year Celebration. A holiday that I use to commemorate with a very small group of people was now being recognized by 60+ attendees. The “smelly” food—dumplings, chow mein noodles, and shrimp cakes—that I was once was ashamed to bring to school was now being honored and enjoyed amongst my colleagues. And I certainly appreciate that this catered cultural fare wasn’t free. Chef Karyn worked hard to handmake the dumplings. The Inclusion and Diversity Office allocated a portion of its budget for this event. And the participants took time out of their day to invest their attention and energy into learning about a foreign culture. Because of my upbringing, I’m acutely aware of socioeconomic factors and keenly conscious of social determinants of health. I feel so fortunate to be part of an organization that invests time, labor, and resources in understanding these topics and whose mission it is to improve the health and well-being of its customers and community. And nowadays, I’m thrilled that my family observed holidays from their motherland. As a second-generation American, these family traditions are my connection to Taiwan. My father passed away five years ago this month. But his memory lives on with every Chinese New Year and cultural celebration I am able to celebrate. It’s so wonderful that I can share this type of memories with my employee network and co-workers. Rest in Peace Ching Sung Chung (November 5, 1941 – March 23, 2014). About Tai Chung, MBA, Esq. Tai Chung, MBA, Esq. Tai Chung is part of the Healthcare Strategy and Transformation team here at Blue Cross NC. He is passionate about launching healthcare moonshots and improving social determinants of health. He enjoys forest bathing with his fiancé and yellow Labrador retriever. Twitter: @fnfour.